Lely Resort has long been regarded as one of the premier communities in Southwest Florida. Home to three of the most desirable golf courses in the United States and voted “Community of the Year” for six consecutive years, Lely Resort offers a superb resort-style lifestyle, amenity rich clubhouses and some of the finest luxury real estate choices. Ideally located on 3000 pristine acres in the heart of Naples, Lely Resort is close to I-75 and the most popular recreational attractions. 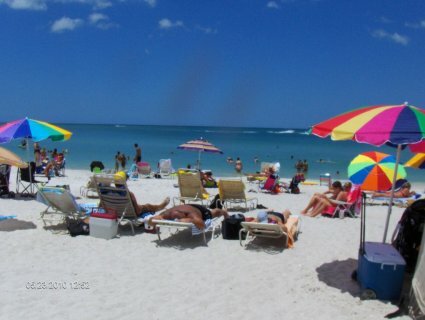 Whether you want to enjoy the world class shopping and restaurants of Fifth Ave District, relax on the pristine beaches of Naples and Marco Island by the Gulf of Mexico or spend an evening enjoying concerts and cultural events at the Philharmonic Center for the Arts everything is easily accessible just a short drive away. Stock Development, one of the most renowned development companies in Southwest Florida for Quality Craftsmanship & Design purchased Lely Resort in 2001 and has been instrumental in making Lely Resort one of the most distinctive and desirable communities in Southwest Florida. Today there are 40 individual neighborhoods in Lely Resort and more than 4000 homes offering home buyers a variety of real estate choices from townhomes, condos, single family homes and luxury estate homes as well as new construction options from various builders. Most of the homes offer the most captivating preserve or golf course views. Marketing Luxury Real Estate: Team Up With Your Competition. As a luxury real estate marketing professional, seeking market leadership, have you ever considered teaming up with another superstar in your marketplace to better compete with the current market leader or to secure your market leadership position? Sometimes joining forces can yield better results for both of you, more so than your combined production as separate players. The buzz that could be created by an announcement of your partnership may be just what you are looking for to catch the competition off guard and tip the scale in your favor. Marketing Luxury Real Estate: Less Is More - Tip 4. It is not hard to create a buzz about you as a luxury real estate marketing professional. And, it does not need to cost you a lot of money to do so. Here is an example. The Hit Factory was a recording studio in New York City famous for its clientele. It was officially closed for business April 1, 2005 whereas other Hit Factory studio locations remained open, such as in Miami, Florida. The New York facility was purchased from Jerry Ragovoy by Edward Germano on March 6, 1975. Sieger Suarez Architectural Partnership is firm specializing in the diversified field of luxury high-rise residential design and development. Its jointly owned and managed by Charles M. Sieger and Jose J. Suarez.